We rested a bit after our adventures in Ikebukuro, we visited Roppongi Hills to get tickets to the Observation Deck on the 52nd floor so we could see Tokyo in all its nighttime glory. 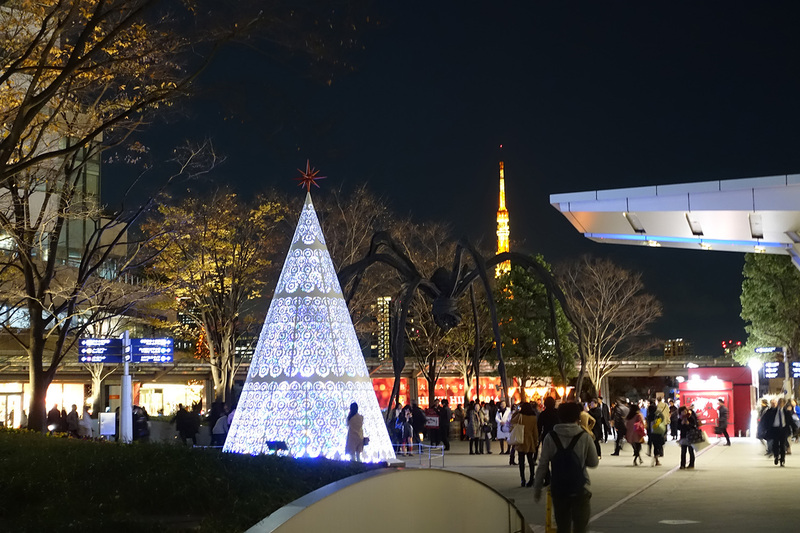 We could see the Tokyo Tower lit up from the main plaza of the Roppongi Hills complex. 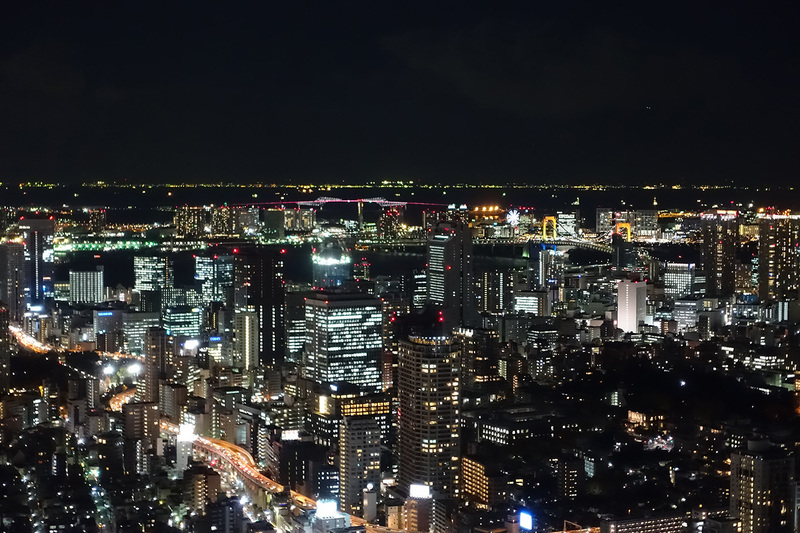 Once we obtained our tickets and zipped up to the observation deck, we were treated to a truly spectacular view of the city. 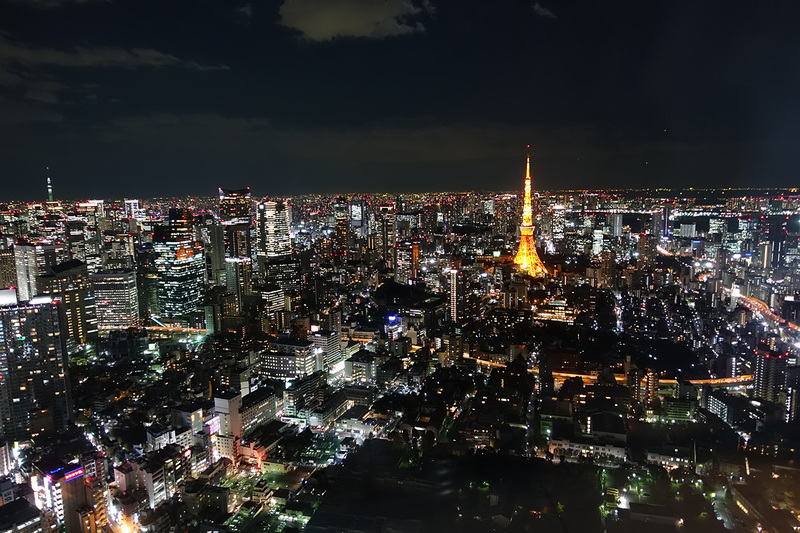 We were lucky that it was a clear night and we could see all across the city. 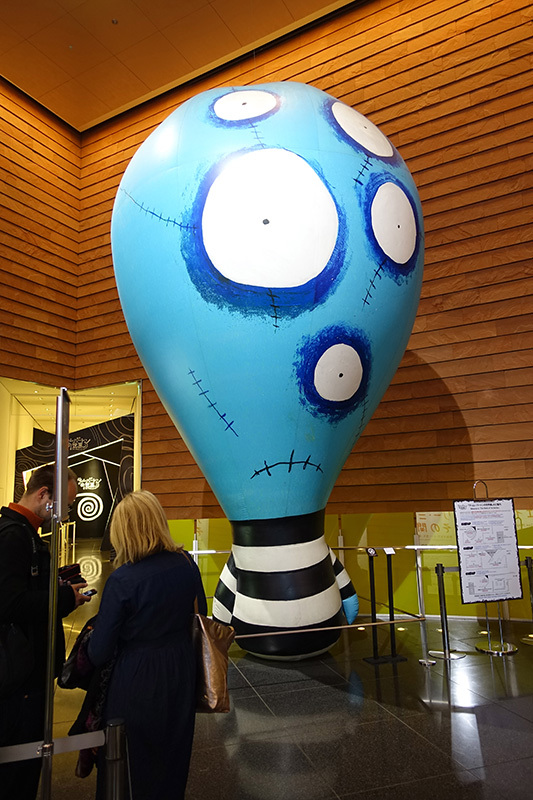 I had to take these pictures in the moments where the Tim Burton exhibit on this floor turned its lights off – otherwise, there was too much glare on the windows from the reflection of all of those lights. 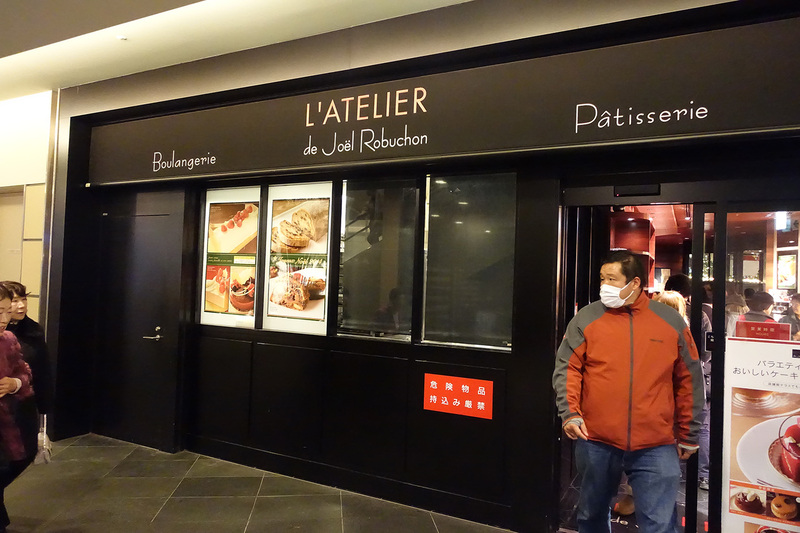 After this, we stopped at the Robuchon bakery again to pick up some snacks for the night. 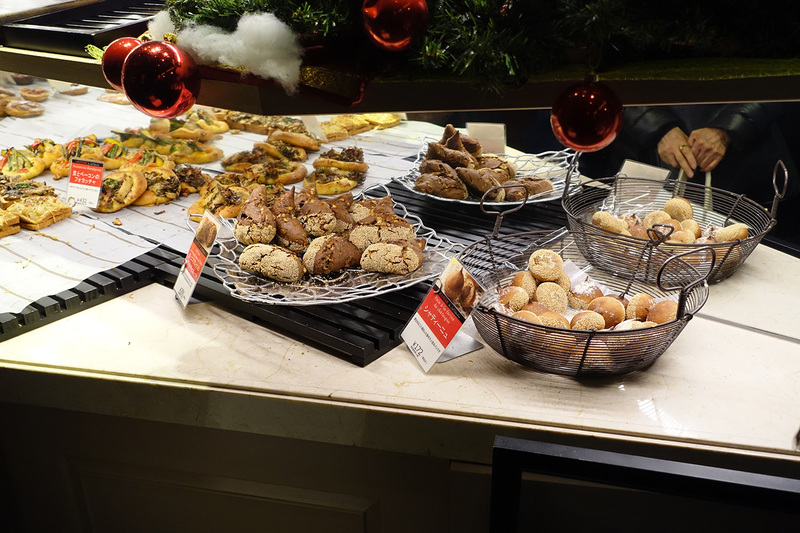 Here is a shot of some of the fare they had on offer. The number 1 seller might surprise you, though. Any guesses as to what this is? We thought about eating out but decided that for one night during this trip we would eat at home so we headed to a good grocery store and also a nearby Lawsons for provisions. I love to cook so I wanted to try making an omelette. Here is what my purchases looked like. 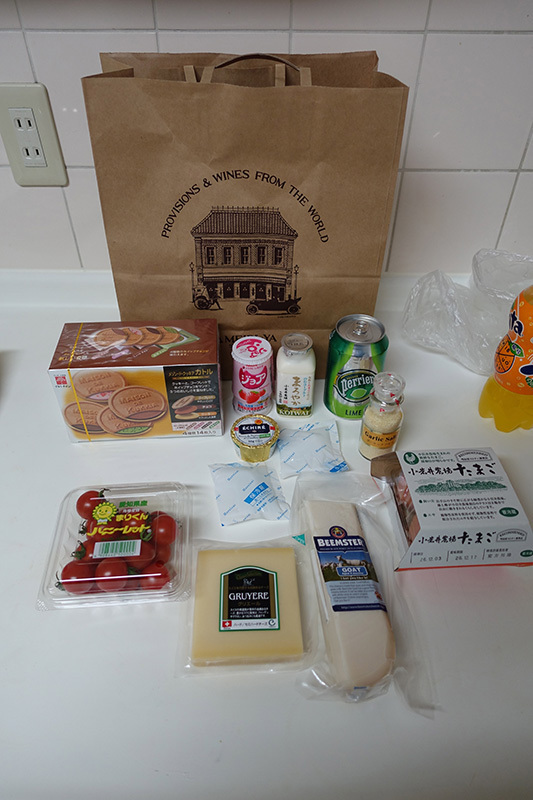 I got some wafer cookies for us to try and some yogurt drinks as well as the makings of my omelette: tomatoes, cheese, butter, and eggs (also added in garlic salt for good measure). 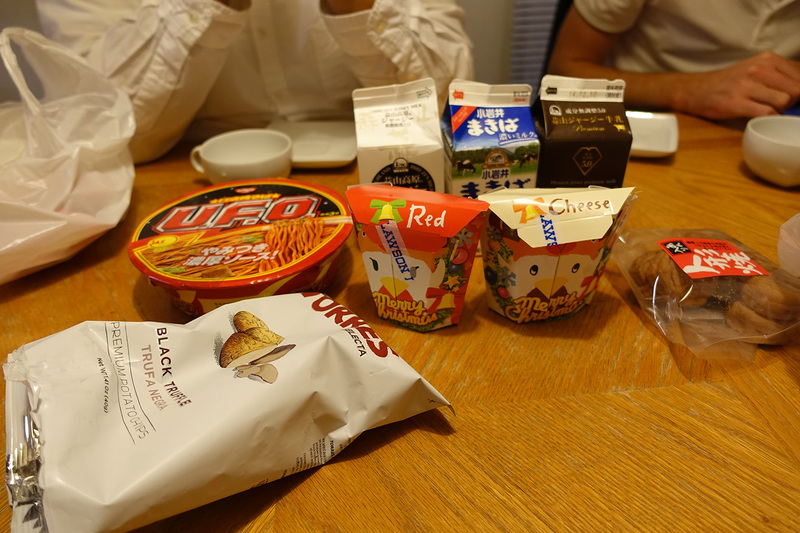 Those blue and white packets between the cheese and the yogurt drinks are ice packs. Yes, the grocer actually put ice packs in with the cold items! That’s awesome! My friends decided to fend for themselves and bought most of their food at Lawsons. Here is what their meal looked like. 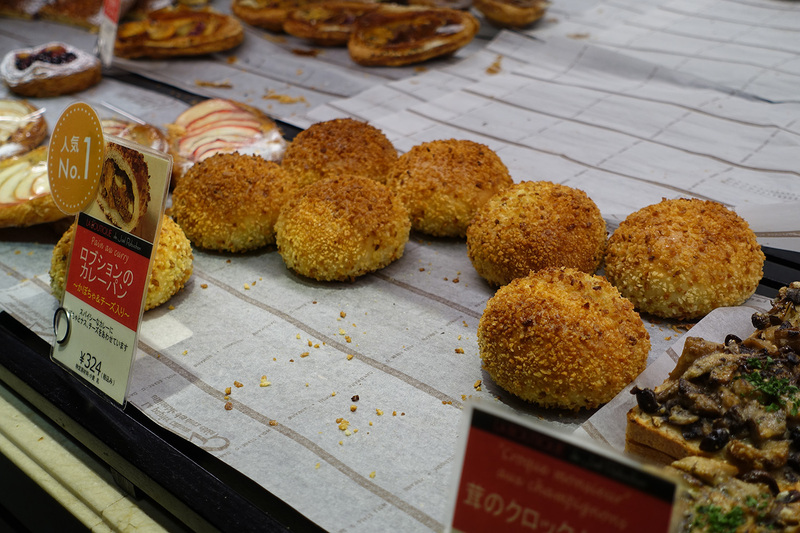 The next post will be for our Day 11 adventures and our last full day in Tokyo before we say good-bye to Japan.